I photographed clouds similar to these in 2010 then again in 2012. 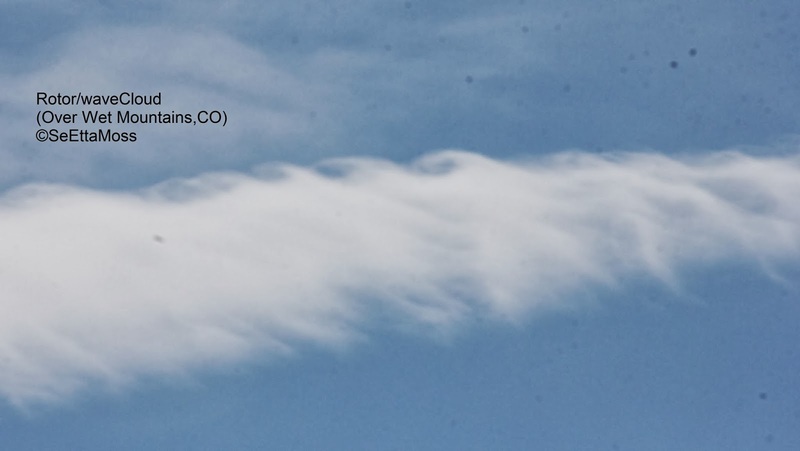 I shared them with the Pueblo Weather Service meteorologists who confirmed the photos are called rotor clouds that are a rare phenomena caused by "Kelvin-Helmholtz instability" that is related to wind shear likely from strong winds near mountains. They were all quite good and of course made me feel at home. The area has excellent birding though not so much with the nasty weather this time. I asked about them and was told they had hired an artist from out of town to come to do the paintings over a year ago. 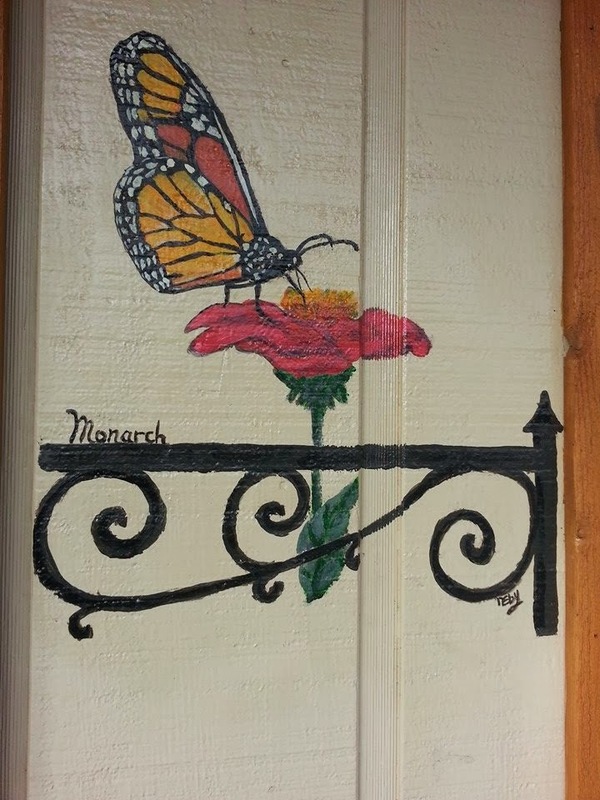 None of them were signed which was too bad as this artist is not only a good painter but also knows local flora and fauna.